Libyan Prime Minister Abdullah Thinni said that government is planning to implement a number of contracts signed between the Gaddafi regime and Russia. CAIRO (Sputnik) – The Libyan government is planning to implement a number of contracts signed between the Gaddafi regime and Russia, Prime Minister Abdullah Thinni told Sputnik. 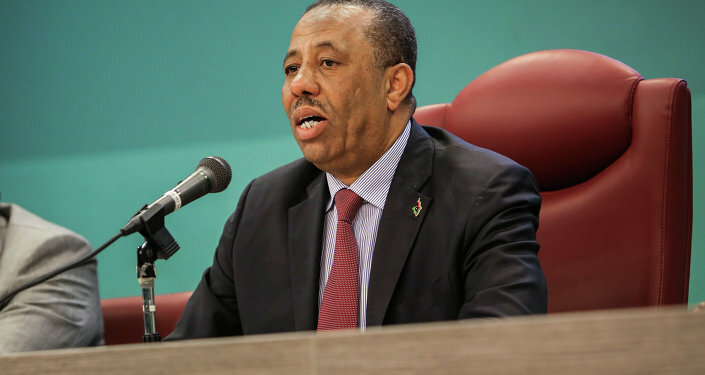 "We will revise some contracts that were signed with the previous regime in 2008…so that they are beneficial for both sides," Thinni said on the eve of his official visit to Russia on April 14.